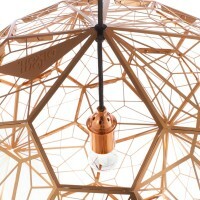 British designer Tom Dixon has created the Etch Web pendant lamp. 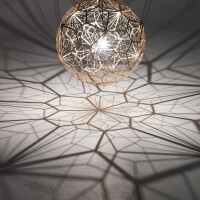 ETCH WEB is a vast 65cm wide shade with an unusual open structure, designed to cast atmospheric angular shadows when lit. 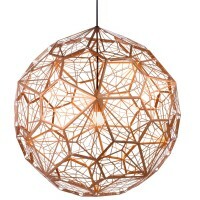 Another experiment in our long running exploration of mathematics and geometry, an irregular pentagon shape is repeated 60 times across the body to create a total sphere. 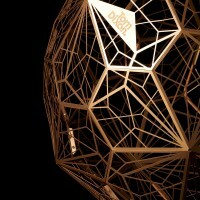 The enormous globe is astonishingly lightweight, weighing only 980 grams, with a correspondingly ethereal visual attitude. 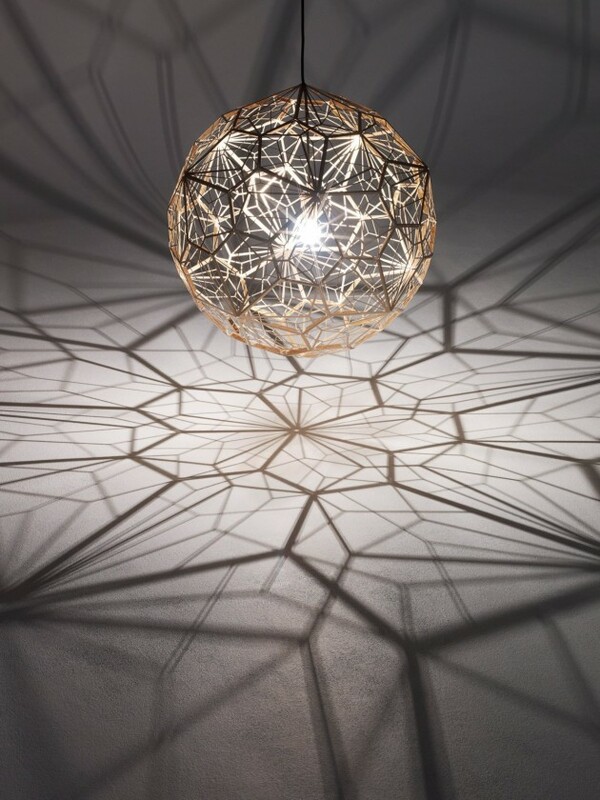 Formed from copper anodised aluminium through a process of digital photo-acid etching, an oversized LED bulb is suspended within the centre of Etch Web to make it the ultimate shadow play pendant.